Home > Sapa Culture > The Giay Minorities in Sapa - hardworking, honest and warm people. 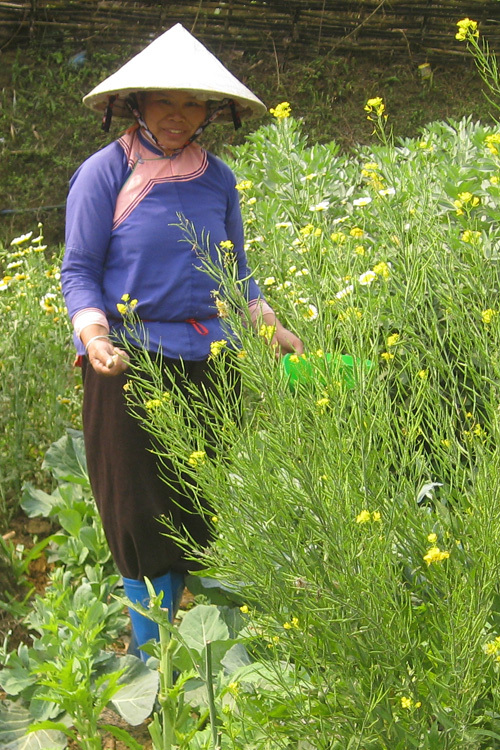 The Giay Minorities in Sapa - hardworking, honest and warm people. History: The Giay immigrated from China 200 years ago. They are strongly influenced by Chinese culture. 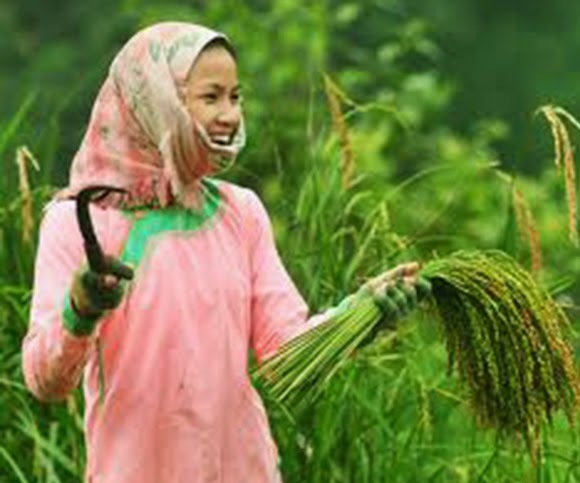 Language: The Giay people speak a language of Tay – Thai group. They don’t have their own writing. 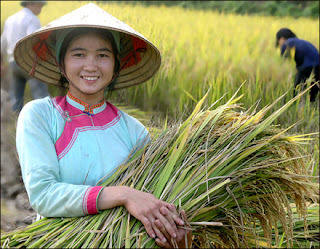 Costume: Like the Tay minority, the Giay women dress in simple clothes. They wear a five panel blouse split at the sides and buttoned on the right with dark indigo trousers. The blouses are different colors depending on the age – old women usually wear the darker shades. Women wrap their hair around their head and fix it in place with red threads. Giay, like other minorities, have adopted elements of Viet and Western clothing. Social organisation: Before the Revolution of August, 1945, the Giay society was divided into different classes. The upper class was composed of administration officials who owned the land. They paid soldiers and housekeepers to take care of weddings and funerals. Farmers working on their land had to pay taxes as well as doing the hard labour. Birth: Pregnant women have to avoid many things – wood is not burned from the top to the bottom to avoid difficulties when giving birth, and they are not allowed to attend funerals or visit a place for worshiping for fear of losing their spirit. When it is time to give birth the pregnant woman makes offerings to the Mother spirit. When the baby is one month old, they make offerings to the ancestors. At the same time they give the child a name and establish his or her horoscope, which will be used later when it is time to choose a partner for the marriage, and the right time to be put in a coffin when he or she dies. Marriage: The procedure for marriage is based strongly on Chinese traditions. A go-between is very important as they help propose the marriage to a potential bride. Once this has happened, the groom’s family gives the bride a necklace and a bracelet to show their intentions – a kind of engagement. For the wedding, the groom’s family must offer the bride’s family food and money, and give close relatives a chicken, a duck and a silver coin. Once married, the bride is carried to her new house on the groom’s back, as if she walks her spirit will find its way back to her parents. Funeral: Giay people believe that if a funeral is well organised, the dead will go happily to heaven with their ancestors. If not, the dead will be forced to live in hell or become animals. In a rich family, the funeral can last from five to seven days with extra rituals such as running along the river to lead the spirit on a procession. The children must mourn their parent’s death for one year. Beliefs: The Giay altar is located in the middle of the house. There are three incense bowls set from the left to the right to worship the Kitchen God, Heaven and Earth, and the family ancestor. If the master of the house is a son-in-law who wants to worship his real parents, he must set up a fourth incense bowl to the far left. If a family has no altar for the Mother spirit, they set a fifth incense bowl to the right. Some families set up a small alter beside the big one to worship their parents-in-law.